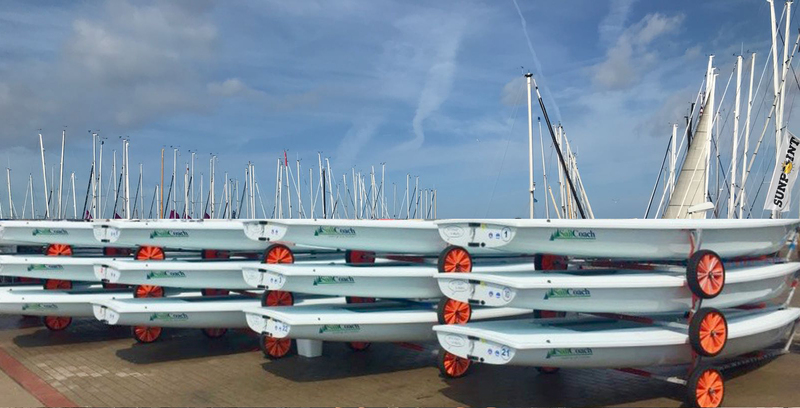 SailCoach maintains a fleet of approximately 30 Lasers and 12 Winner Optimists guaranteed less than two years old and we are at most major European regattas in both classes. We also have a number of charter RIB for team coaches. This means you never have to worry about transporting your boat and allowing you to fly into the venue with your boat all ready to sail. All charter kit is guaranteed to be less than two years old. SailCoach has been operating European Laser, Optimist and RIB charters for well over 23 years and we take pride in providing the best service as we are always on site to help sort out those little problems. There is no other organisation that offers such a wide choice of regattas and service. Our goal is to enable Laser sailors from any part of the world to compete on the European Circuit or participate in our training clinics with good equipment, hassle free. We are dinghy sailors ourselves so we understand your needs. If you are thinking of coming to Europe then please ask us about putting a Laser or Optimist charter package together, we can also supply your coach with a RIB. 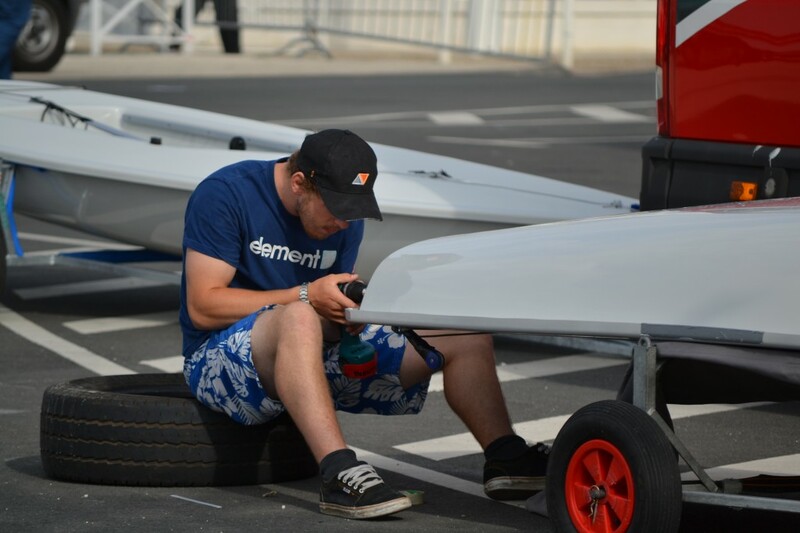 With our years of experience, we can take a lot of the effort out of competing on the European Regatta Circuit and we will do our very best to put a package together that suit your needs. 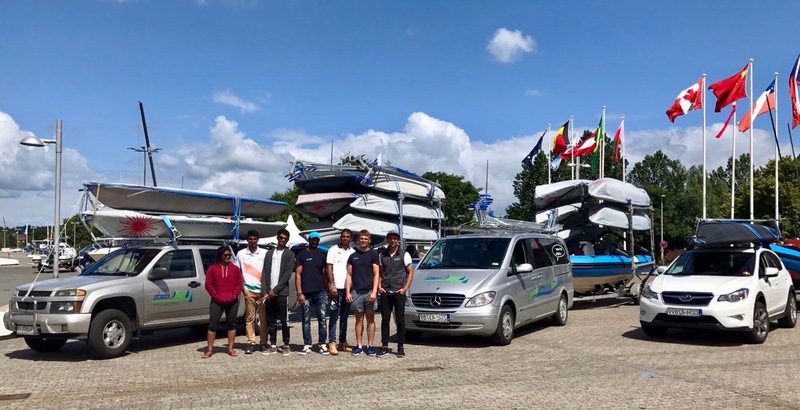 The usual procedure is to check out your charter boat a couple of days before the start of the regatta or at the start of your training clinic. You sign a form acknowledging the condition the boat was in upon pickup and pay a damage deposit of €200, then the boat is yours to the end of the event. At the end of the event, you check the boat in and sign the boat off assuming there is no damage. When you have got the all clear from the charter manager we refund the damage deposit. Any damage to the gel coat (on the hull) will incur a 35 euro penalty deducted from the damage deposit. Spars and foils that are badly bent or broken will incur a penalty of 50% of the purchase price. Racing padded toe strap, shockcord and toe strap line.